Chicken strips are a childhood favorite but the beloved dish doesn’t have to be for young palates only. Think about it: How many times have you seen parents sneaking bites from their kiddos plates at restaurants? 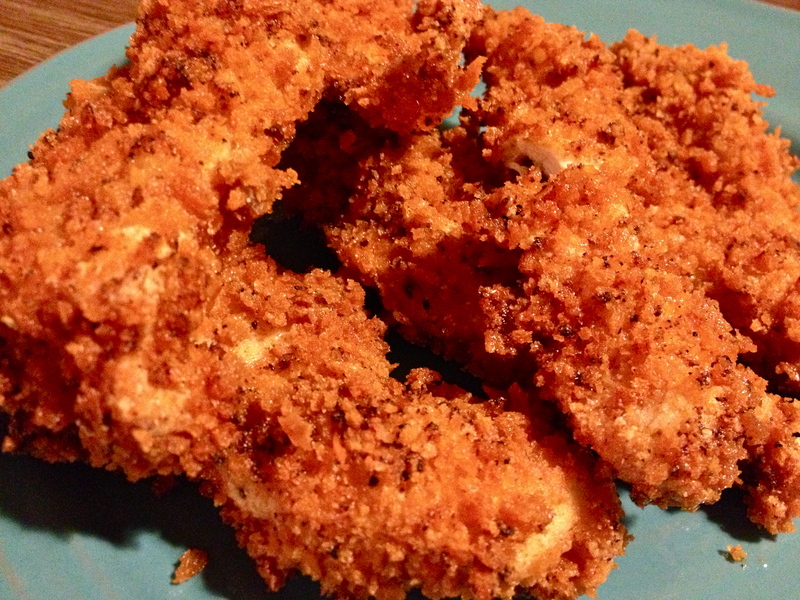 Not only are these chicken strips better than those you’ll order off of a kid’s menu, but this homemade “adult” version of chicken fingers doesn’t come with a waitress covered in pieces of flare waiting to whip out her all-too rehearsed “Happy happy birthday” tune. This recipe uses a deep fryer but can be made in a high-rimmed pot with about 3 cups of oil. The advantage to a deep fryer is the basket allows for the chicken to cook evenly, remaining tender and juicy on the inside, while the seasoned panko bread crumbs become golden and crispy on the outside. Serve with your favorite BBQ sauce or honey mustard. *Choose an oil with high “smoke points,” meaning those that will not break down at deep-frying temperatures: Peanut oil, safflower oil, sunflower oil, and canola oil are the best choices. 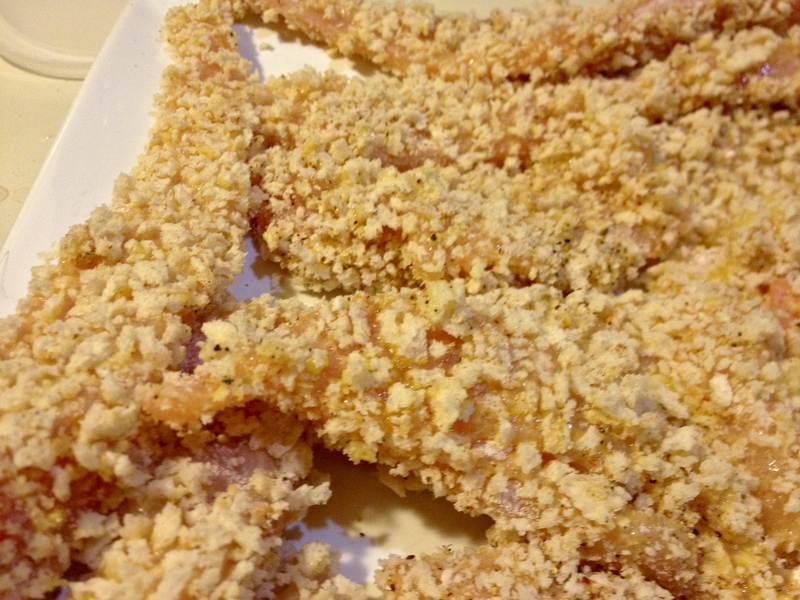 **Panko breadcrumbs are larger flakes than regular fine breadcrumbs, making them a better option for frying as they stay crispy and don’t absorb as much grease. 1. 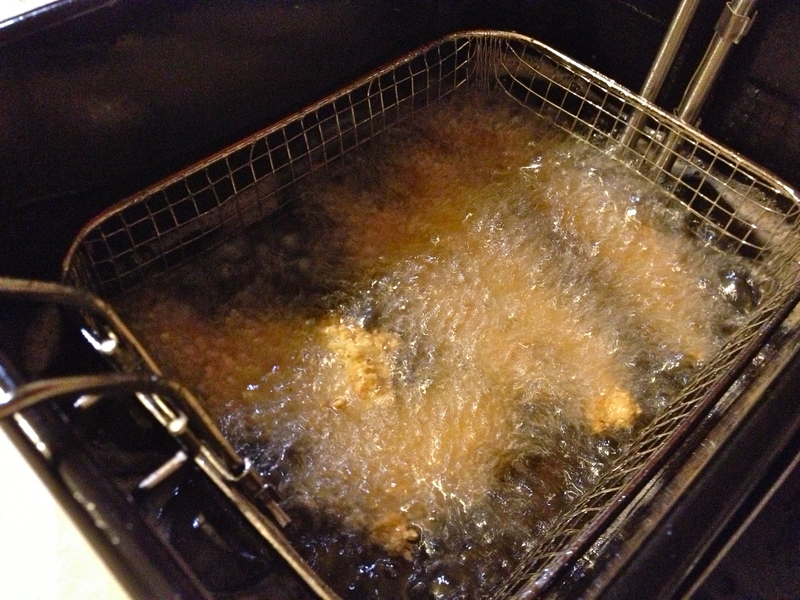 Pour oil into fryer until it reaches just above the minimum fill line. Preheat to 350°F. 2. Rinse chicken cutlets under warm water and pat dry with paper towels. Slice into long, thin strips and set aside. 3. Crack eggs into a small bowl and whisk with a fork. Spread flour on a plate. 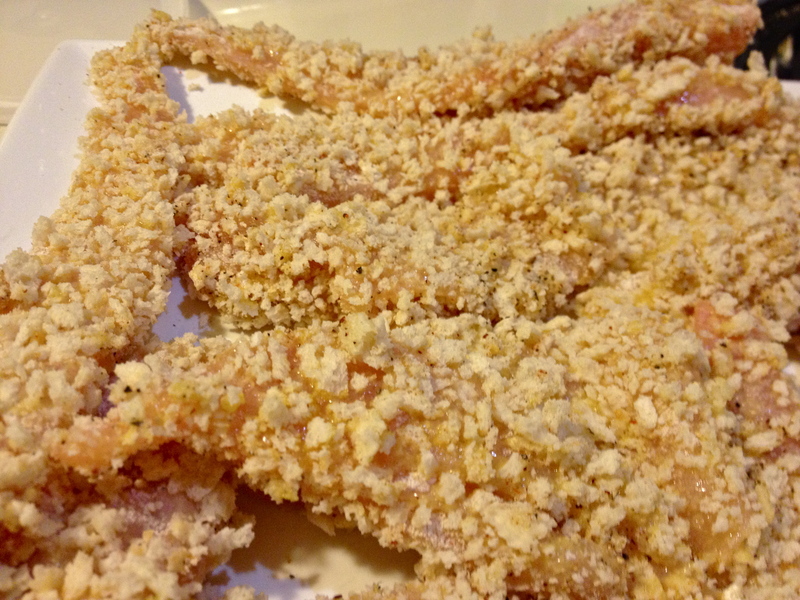 On a separate plate, spread panko breadcrumbs and season with garlic salt, lemon-pepper, chili powder, and pepper. 4. 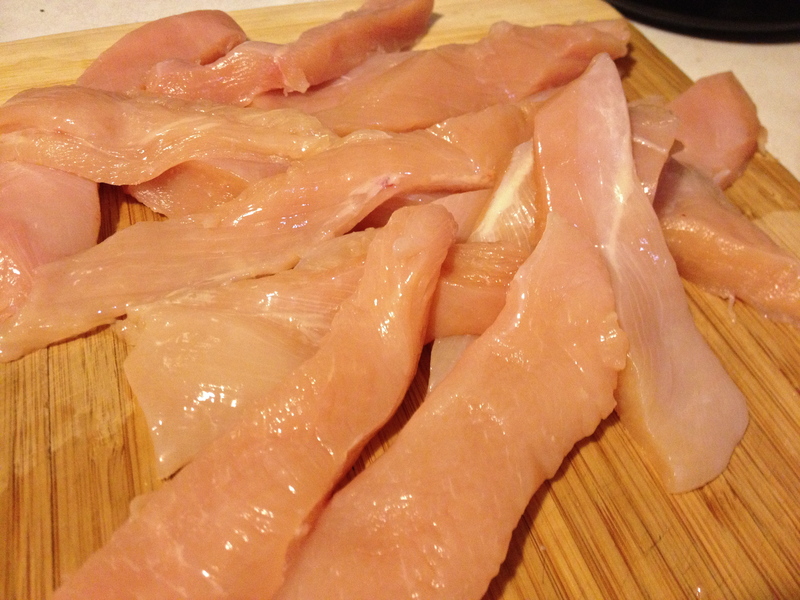 Working one strip at a time, dip the chicken into the flour, covering all sides until barely any pink is showing. 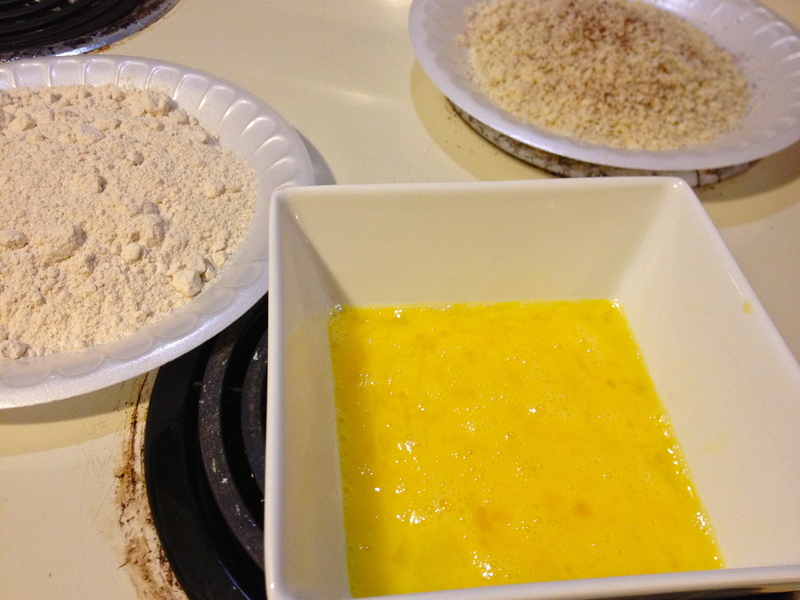 Dip into beaten eggs, covering, then dredge into breadcrumbs, making sure all sides of chicken are evenly covered. 5. Working in small batches, about 4 at a time, lay breaded chicken in basket ensuring they do not overlap. Fry in hot oil for about three minutes, or until golden brown, and transfer to a plate lined with a paper towel.